The March/April 2019 issue of Vintage Truck magazine is now available on newsstands. Our cover story about a 1952 Ford F-1 was written by Robert Gabrick, with photos by Mark Dalton. Growing up in Haugen, Wisconsin, Dahle was part of a family whose larger-than-life grandfather, Alfred Dahle, established a lumber mill and retail supply company that carried on until 1991. (Haugen was, and continues to be, a small village in the northwestern part of the state—population 287, according to the most recent census.) Dahle’s grandfather, Alfred Dahle, bought the red Ford F-1 new for duties at the mill. One fond memory is that he often rode in the F-1 with his grandfather to dynamite stumps on land cleared of lumber for the mill. The mill’s 10-acre site also allowed enough room for a 14-year-old Dahle to learn to drive, and the lack of a police presence meant he could take to the local streets and highways before he had a driver’s license. Because of totally different business philosophies and management styles, Henry Ford and his son Edsel struggled and often feuded over the operation of Ford Motor Co. for the better part of two decades, beginning with Edsel’s assumption of the presidency in 1919. The result of this struggle resulted in a weakened position for the company at a time that the United States needed Ford the most—the middle of World War II. With Edsel’s untimely death from stomach cancer in 1943 and Henry’s obvious diminished capacity from age and mental problems, the U.S. government found itself in a dilemma concerning Ford’s unfinished military contracts. Henry Ford II (Edsel’s oldest son, often referred to as “the Deuce”) was released from the Navy and sent home to finish Ford’s military commitments. He and his management crew pursued those goals in style. 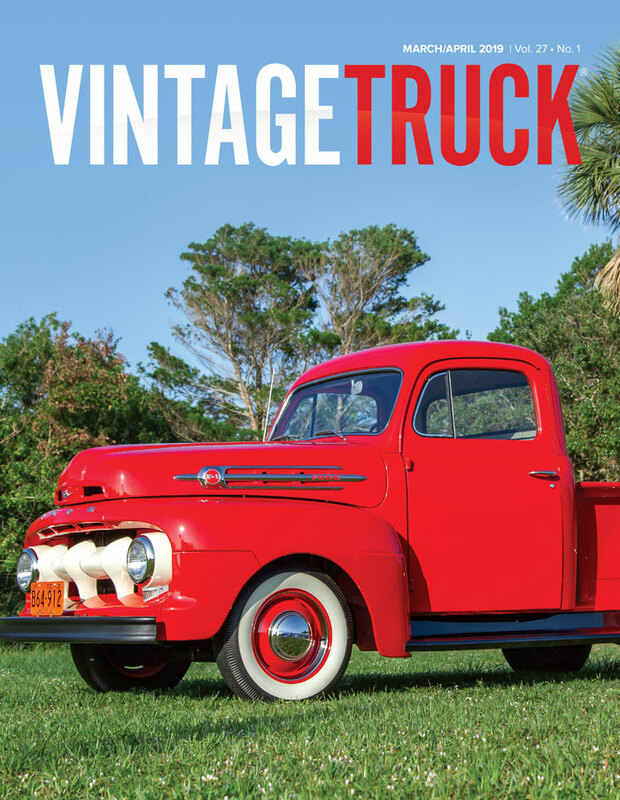 To read more about our featured 1952 Ford F-1, pick up a copy of the March/April 2019 issue of Vintage Truck magazine!